For today’s consumers, loyalty technology is mobile technology. Today’s consumers live on their phones, expect real time recognition and desire relevant promotional offers. Those three elements make up the foundation required to optimize customer loyalty and engagement results within the convenience retail environment. As we found in our C-Store Shopper Profile 2018, nearly half (49%) of c-store loyalty shoppers are millennials in the 18-34 age range. This cohort is widely understood to spend a significant amount of time on their smartphones and tend to maintain most of their personal, school and business relationships through their mobile devices. Therefore, for retailers who want to capture and maintain their attention, a mobile-first solution is imperative. Loyalty technology should no longer be relegated to the back office or only connected to the POS system. Loyalty technology is mobile technology. It connects c-stores with shoppers before, during and after their trips to increase brand engagement, drive more frequent visits and increase average transaction value by facilitating the integration of personalized promotional offers. Due to their improving functionality and virtual attachment to brands, mobile apps for loyalty programs continue to surge in popularity. Our report also highlighted mobile technology’s increasing ability to influence shopper behavior: in 2016, only 11% of loyalty customers preferred using mobile apps to track and redeem rewards. Today that number is 31%. For the millennial population, 60% of 18-34-year-olds use a mobile app tied to loyalty programs. Based on the insights gleaned from our studies over the years, we expect loyalty program mobile app usage to continue to grow in awareness, functionality and usage – especially in convenience retail. Providing an exciting and engaging experience for customers is critical to loyalty program acquisition and retention results. However, for c-store operators there’s an even bigger benefit. Based on the ability of loyalty technology to gather, parse and utilize data to construct customer profiles, c-store operators now have the ability to utilize their knowledge of customers’ unique behaviors to provide meaningful product offers to optimize shopper value and increase the overall efficiency of their stores. The report also concludes that 51% of convenience retail loyalty program members increase their frequency of shopping, as compared to only 36% across all other retail categories. 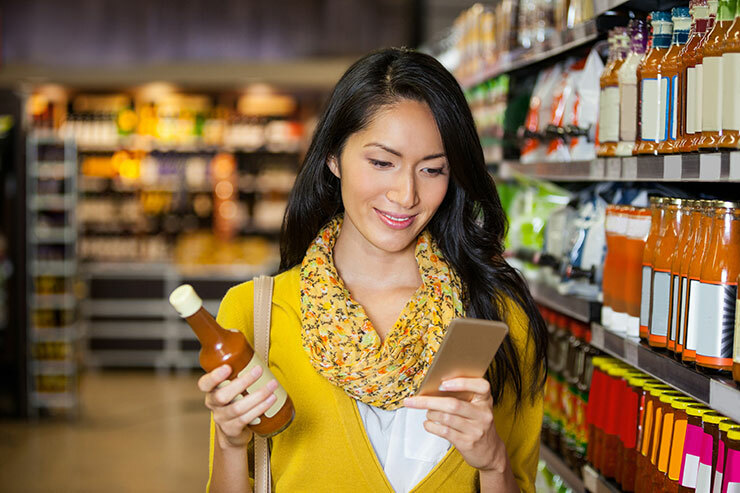 Couple that finding with the fact that 12% of shoppers visit a specific c-store because of the ease of use of its mobile app, and there is a significant opportunity associated with optimizing a c-store loyalty mobile app. The required mobile loyalty technology for creating a winning relationship between consumers and c-store operators is proven and available. Contact us to learn how you can get started today.